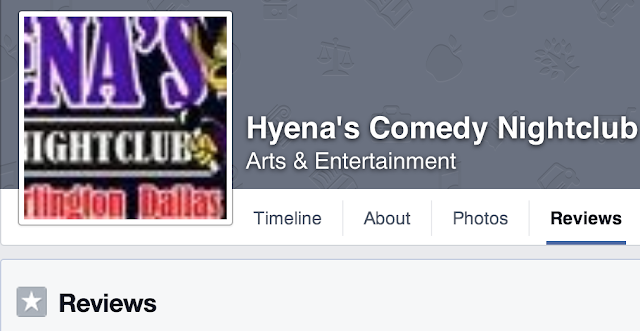 So, awhile ago, I wrote some facebook feedback about Hyena's, a comedy club I perform at in Dallas Texas. I kind of forgot about it until I got a notification that somebody commented what I wrote. 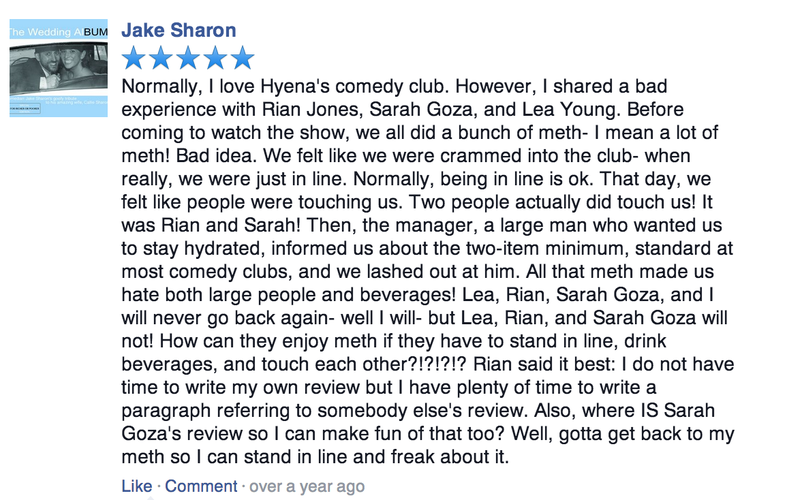 I am posting this review on my website though because- as Rian Jones, Lea Young, and Sarah Goza will tell you- with proper feedback, we can make a difference! Check out "Combative!" A brand new word by Lea Young! 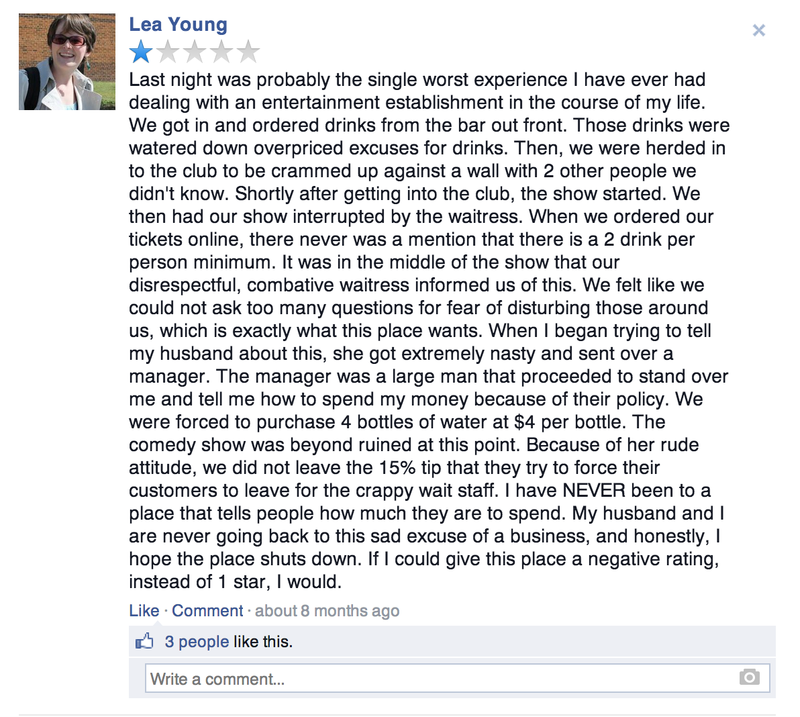 In short, if beverages, comedy, and strangers make you fearful, you may want to just stay at home. Comedy is very therapeutic, but you may need actual therapy from a professional. Also, manners. Also, did anybody check to see whatever happened to Sarah Goza? Is she hydrated?